If Las Vegas had tried to use “Whatever you do while you’re in Las Vegas, Stays in Las Vegas” instead of “What Happens Here, Stays Here” it might never have caught on as one of the most popular slogans of all time. Keep your slogan under 9 or 10 words. Consistent branding is key whether you’re a small business or a household name. Make sure your slogan complements your existing logo, company name and projected image. For example, withPro Carpet Care’s slogan, “Your Greener Cleaner” they streamline their earth-friendly branding with a leaf logo. The color green is used in their website design and marketing materials. Figure out what your unique selling proposition is and use it. Is your delivery business done with a fleet of electric cars? Does your dental practice cater to those with high anxiety? Crossoak Family Dentistry uses the slogan “We cater to cowards” with a big chicken on its website. Incorporate what makes you special into your slogan if possible. Verizon had a good run with, “Can you hear me now?” but it was only a matter of time before technology made all cell phone calls clear. You have to change with the times, but when you’re working on a slogan you want to think of its longevity. References to technology or phrases like “the only” are risky. Choose wording that can stand the test of time. Lumberjack’s Restaurant’s “Where the BIG BOYS eat!” tell you about the target persona that you can probably figure out the business with no other hints. You want a slogan that tells your audience what your business is without any additional information. You’ll also need to consider if your customers are local, national or international. While some locals get Philadelphia’s new slogan, “PHL: Here for the Making,” it may have left tourists scratching their heads. The phased-out Wendy’s slogan, “It’s better here” sounds better suited to a “shop local” campaign than a national fast food chain. Make sure your slogan is clear to your target market. Being creative is a tough job, but there are ways to avoid going it alone. Use Facebook’s poll feature to get opinions from your followers. Use Twitter to host a slogan contest with a designated hashtag to track entries. Or consider some free tagline generators, like Sloganizer.net, Procato.com or SloganGenerator.co, to get your brain warmed up. What are some of your favorite slogans? Employee Services awards are a way to congratulate your staff for reaching certain milestones or achievements, such as years worked or completing specific goals. Fostering a culture of appreciation with awards and gifts are shown to have a significant impact on overall business and boost employee morale. Retaining quality employees should always be a priority to any business, and congratulating them with a service award is a great way to let them know that you appreciate their hard work and dedication. Even in harsher economies, key employees will often have other choices for employment and will most likely have an opportunity to choose between staying with your company or making a change, so satisfaction in the workplace is key to gaining their loyalty. We all know the hiring process can be stressful and time consuming, so maintaining longevity can cut down on this process and avoid the costs of turnover. Increased employee morale is another benefit of providing service awards. If an employee feels underappreciated, their feelings toward the company can sour and even affect productivity, which is why high turnover companies opt to start an employee service award program. Awards for achievements can motivate employees and give extra incentive to meet certain goals and objectives. There is also a lot of versatility when creating an employee service award program; you don’t always have to go with typical plaques or trophies, often times companies will create a catalog of company branded items that an employee can choose from or even give the employee freedom to find their own gift. This option lets employee receive a gift that they will get enjoyment from since it’s tailored to their interests. Get to know Henri Bonan, the Founder of The HB Group! What were you doing prior to starting The HB Group? I attended Brigham Young University and received a Bachelors Degree in Communications. I dreamed of buying TV stations, I worked on air and radio sales. While at BYU, I was moving from Provo to Salt Lake City, I blew a disc out of my back by lifting a 100 lb Pioneer amp. After I had surgery one day I was laying there, and it hit me that I wasn’t interested in being the top in radio anymore. I was head hunted for a job with a local employee recognition company and started working there in the early 80’s. I had a piece of garbage car. I would park blocks away so it would’t affect my chances at work. They were very high brow, and probably wouldn’t appreciate a 65 old cutlass convertible, with no top and all rusted out..the perfect college car! What Made You Want to Start a Career in the Import/Export Business? I was dropping by some businesses in 1985. I had been thinking about how to be more competitive. Buying domestically didn’t set me apart. I saw a cotton bag on the floor at a company, he threw it at me and I saw a made in China tag, my mind started to turn. The president asked if I could get 7500-10000 bags every 2 months and asked if I could get them for a certain price point. I then contacted another local company and they asked the same if I could get them jogging suits at half the price. If so, they would cut me a check for half the order. In the Fall of ’85, no one ever went to China back then. I was one of the first. Every business I looked at were short Chinese. I was very intimidated even though I towered over everyone. I had no idea of what I was doing. Once I purchased my first order for my first company, it opened many doors. The HB Group was then born. It was an interesting experience. I called the Chinese consulate in SF first, and they reached out and made appointments. I flew to China blind not knowing what to expect. Everything began to move quickly after that first visit. At the time of 9/11 there was a game change. We lost millions in with the Olympics business since there was extreme security risk with terrorism. Everyone we shipped to shipped back. They were worried there would be no games and no way to sell their merchandise. This was after we shipped and billed based on our PO’s from them. Biggest ups is selling to a new company. Every time a new company trusts us to do their programs, it reminds me of why I started. I love helping people reach their goals and provide excellent products at good prices and great service..it rejuvenates me! What advice do you give to anyone wanting to venture in the import/export field and also in starting their own business? Just know what you’re doing and do your homework prior. In venturing in the import/export business, your company hangs on the economy of the world. Some countries dislike each other like China importing to Japan. Know your facts before setting up shop. But be passionate..that’s what pushes you. Even if you make mistakes, push forward and have a great attitude. You can make it. It also doesn’t hurt to have a great relationship with a good freight forwarder! I was born and lived in Sweden. Moved to California, then Utah. I can’t play golf anymore unfortunately due to multiple surgeries. I’m a closet rock star! I was the lead singer in a rock band for 7 years. I own another company, a music entertainment company, Airus Music Group where I manage Swedish bands. With my second venture now that I’m older, I can live vicariously through them! Best trip was this last Fall of 2014 with my wife to Italy, Greece, Turkey and Croatia. It was an amazing experience. So many story book scenes. It was like being in a Disney movie everywhere you looked. Truly a trip of a lifetime. My wife told me she would give me sons, strong and tall , however five daughters later, I wouldn’t trade a thing. They are wonderful girls and I have loved every minute watching them grow and going to all their activities. I’ll admit there were times with all the estrogen, I had to go watch a man’s movie just to get my head straight! But it’s been so fun. Now they have given me wonderful grandchildren, makes it all worth it! Life is truly a journey. Forty-one percent hasn’t heard of LinkedIn. “Food styling” makes the food unsafe to consume. Ice cubes are often acrylic, and wet paper towels are used to keep hamburger buns looking fresh and moist. The co-founder of Goodby Silverstein & Partners thought it was lazy and grammatically incorrect. The name was changed a few months before it launched. The first tweet was “Just setting up my twttr” by Jack Dorsey. They’re caused by “fat-finger taps,” according to GoldSpot Media. What do you think of these facts? Advertising can be expensive, and in a tight economy, many small businesses cut their marketing budgets first because of cash flow concerns. However, when times are tough, it’s even more important to keep your business brand front and center. Put together a group of synergistic, non-competitive businesses in your area and agree to cross-promote. You can use coupons, fliers, reciprocal website links, bundled promotions or social media platforms. (Okay, I had to add a little bit of social media to the mix.) By collaborating with each other, you can expand your customer base because you’ll be reaching new people. Small business owners can accomplish alot without hiring a professional firm. Look for local and major media outlets to pitch your business. Do you have another inexpensive, successful marketing tip that has worked for you? Tell us about it below! How do you get your business marketed efficiently and create brand awareness? I’ll tell you what.. Promotional Products! They are a proven, cost effective way of marketing your company to an extremely large audience while doing minimal work. Sounds efficient, does it not? If you’re new to the idea of promotional products, I understand that you might be hesitant. Despite any fears you may have, I strongly urge you to continue reading and discover just what quality promotional items can do for your company. 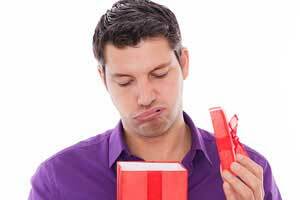 More often than not, giving a gift or item to an individual promotes a feeling that he/she should reciprocate for your kind gesture. In terms of promotional products, the giving of a product to someone else will make him or her more likely to do business with you. L.J. Market Research did a study that found 52% of participants given a promotional item, ultimately did business with that company. The remaining 48% of participants said they would be more likely to do business with that company in the future because of their gesture. Giving out promotional products is also a very effective way of starting a conversation with a potential customer. Handing something over allows you to “break the ice” and engage that person in conversation and because you gave them something, he or she is likely to listen to what you have to say. Everyone wants to be the popular table at the trade-show, am I right? We all want attention for our companies and our brands and promotional products are a great way to attract that attention! There is no more powerful word in the field of marketing than the word “FREE”, so why not offer free stuff? You now know how promotional products can help open lines of communication, but they can also get people to you all on their own! Your trade-show booth can only be viewed from so far away, so how do you reach people all the way on the other side of the convention center? Easy! Send a promotional product after them! Exhibit Surveys, Inc. who did a study that determined that there was a 176% increase in trade-show traffic to a booth that gave out promotional items. Conventional advertisements generally run for a set period of time. TV ads might run for a few weeks, billboards for a few months, etc. Promotional products are a unique form of advertising that could potentially continue advertising to new target markets for an unlimited amount of time. Think about what promotional products generally are: note pads, pens, t-shirts, key chains etc. These items are not large or expensive; instead, they are simply useful. These types of items can easily be used in every day life, making them susceptible to long term exposure. L.J. Market Research completed yet another study that interviewed random business travelers. These interviews took place at a variety of airports across the country. According to L.J. Market Research, 71% of the participants said they had received a promotional product sometime in the last 12 months. Of that group, 33% of those participants had that product on their person! The number of impressions with traditional advertising stops when the ad stops running on TV or in the paper or wherever. Promotional products never stop collecting impressions because they are constantly in use or being passed from one person to another. The cost per impression using promotional items is drastically less than that of traditional advertising. Who can argue with more impressions at a lesser cost?? Brand recognition requires repeated exposure to the brand name, slogan and logo. Seeing the same thing over and over again is often one of the best ways to remember something and that’s where promotional products come in. Customers are more likely to remember your company if they have been exposed to it hundreds, even thousands of times. A promotional item has the ability to show off your brand on a daily, hourly and even minute-to-minute basis. According to Schreber & Associates, 39% of all people who have received a promotional product in the last 6 months can remember the name of the company associated with it. Are you getting enough brand exposure with traditional advertising methods? Promotional products to the rescue! Promotional items have an uncanny ability to reach an audience far beyond your targeted boundaries. The most obvious examples of how this is accomplished are by using pens and t-shirts. T-Shirts: These can be viewed as walking, moving, breathing billboards for your company. Promotional t-shirts are often worn to the gym or simply while out on the town exposing themselves to hundreds, even thousands of people each trip. Pens: These change hands at an alarming rate. People are constantly taking notes, jotting down grocery lists or writing entire reports with pens, but most importantly, they’re sharing. This allows your branded pen to reach an astronomical number of demographics during its life cycle. Psst! Wanna know a secret? I’m awesome! This was useful to me, now I want to share it with you! Re-gifting is generally a forbidden practice. The thought of someone passing on a well thought out personal gift to someone else generally promotes blood boiling anger but not in the case of a promotional product. If your promotional product is being passed along, you should be elated! People share; people share stories, emotions and most importantly, people share stuff. Recipients of promotional items are more than likely going to pass them along to someone else and this is exactly what we should hope for! The more a promotional item is passed along, the greater total audience it sees, the smaller our cost per impression gets and the bigger our smiles become. It’s a know fact (thanks to the Advertising Specialty Institute) that 62% of those who receive a promotional product will give that item away before throwing it out. 1 person is given a promotional product. That 1 person exposes that product to 100 people. If you give out 100 promotional items and each of those items was passed around 100 times by its recipients, you will have gained 1,000,000 impressions with just 100 items! That’s what we in the business call incredibly effective advertising. More impressions = more business generated. We’ve all heard, been taught, or thought about a target audience. What we often don’t think about is the possibility that our perfect customer is outside of our current targeting boundaries. That’s where promotional products can come in handy! Promotional items have no geographic or demographic limitations and because of their mobility, items such as USB drives, t-shirts and pens have the ability to reach a vast number of people you may have never gotten the chance to advertise to. A simple pen could be the reason for your largest client. The whole purpose of advertising is to generate revenue for your company. The fantastic thing about promotional products is, that’s what they’re designed to do! Baylor University did a study that concluded, companies whose sales people utilized promotional products did 22% more business than those sales people who didn’t. Due to high exposure rates, promotional items create a positive affiliation with your company and can help to generate sales at an alarmingly rapid pace. This means you’re going to be recommended more often than a company who did not use promotional items because of your giving reputation and that’s a great feeling! You’ve seen the evidence; you’ve seen the examples, now its time for you to take the dive. Promotional products are an extremely effective and efficient form of advertising and they can do wonders for your business. View our catalog of items you can personalize at http://thehbgroup.espwebsite.com/ . Working at various marketing companies, I can tell you firsthand that sometimes promotions work and sometimes they bomb. And, very often, promoters find themselves too caught up in the daily rush of trying to make a profit and satisfy customers to take a moment to analyze the reasons their promotions are not always successful. Here is a list of what I have found to be the eight deadliest sins (I call them “Promotion Killers”) that companies commit when planning and executing a promotion. Maybe your support person neglected to notice all those calendars gathering dust in the storage room. Or, maybe, your salespeople forget to grab some on their way out the door to distribute them. Either way, you end up with an extra 75 calendars in a box at the end of March. That is a waste of time, money, and resources. And the problem can be easily avoided by planning well in advance and following through. Remember, that dumpster behind the building is not one of your customers. Good promotional-products companies can turn around an order very quickly these days—usually within two weeks, and sometimes within a few days if it’s a stocked item. However, don’t make the mistake of betting your whole promotion on it! First, if you’re a high-quantity buyer, you may be able to save tons of money by having your vendor source your product directly from an overseas factory. The catch, however, is that you will need to give them a 90-100 day lead time. Second, you need to account for the very strong possibility that not everything will go as smoothly as planned. For example, your company’s artwork may need to be reworked to properly fit on some of the items. If you allow for several weeks of back and forth, you will give yourself enough time to make sure everything is done right. Don’t be a creature of habit. Just because you’ve always given out mugs, T-shirts, or… whatever, doesn’t mean that those items will always be your best promotional product spend. When was the last time you asked your best customers or employees what they would like to receive? Some business owners fall into the trap of saying, “But that is what I like to give out,” when their real goals should be to attain better customer response and to increase sales. Though promotional products can certainly boost excitement, you need to make sure they also do what you intend for them to do. Therefore, clearly define your expectations so that you will know how successful your promotion actually is. For example, if your goal was to drive traffic to your booth, did you clearly outline, ahead of time, what volume of traffic you would consider great and the volume you would consider just OK? If your goal was to gain new customers, did you have a specific target number in mind? Promotional products can be very valuable tools if used correctly. Don’t make the mistake of trying to cut wood with a hammer and ending up disappointed with the results. Remember, promotional products are your ambassadors to the world. The items you hand out at a tradeshow or in person to your best customers will become their lasting impression of your business. You will not be remembered fondly if the product falls apart or the pens you’ve given out stop writing after two days, for example. Giving out cheap products is sometimes worse than handing out nothing at all. Don’t skimp! That extra $200 could make the difference between a promotion’s success and its failure. Everyone loves to give out interesting and cool promotional items. Keep in mind, however, that the purpose of those items is to appeal to current and prospective customers, and to entice those customers to drive your business to the next level. Don’t choose items that appeal only to people outside of your target market. A company I know once handed out stuffed penguins at a tradeshow. They were so adorable that people flocked to the company’s booth and buyers begged to get extras because they had three kids at home. But as soon as every 8-year-old girl put her penguin next to her pillow, that penguin suddenly became completely invisible to the buyer. The company is still waiting for one of those young girls to purchase its plumbing supplies. The promotional product is important to the recipient, but what is more important to you is that your business’s name and information be imprinted for all to see. Ideally, you want that imprint to clearly inform your customers how they can buy something from you. Many companies list their business name, address, and phone number. Some also include their logo, slogan, or some kind of artwork. But most promotional items are short on space, restricting the amount of information you can display. Therefore, you need to make some smart choices. For example, why list your phone number if you’d really prefer that the customer go to your website? Does your slogan make sense to someone who is unfamiliar with your business? If you display only your logo, how will customers know how to contact you? Is everything clear and easy to read? Think about the information you are displaying. And most important, carefully check the proof that you receive from your promotional-products vendor. One wrong digit in the phone number can kill your promotion. Thousands of promotional-products companies are in the marketplace today. If you go online, you can literally spend days searching sites for deals. However, consider a company’s credentials when you make your choice. Do a little research, and find out whether the company has a time-tested positive reputation. A large number of promotional-products companies are extremely price-competitive but aren’t invested in quality or customer service. Many don’t even have a customer service department. A good thing to know is whether the company does its own imprinting and whether it has a good quality-control process. Also, find out whether you’ll get a real person on the other end of the phone if you have a problem with your order. A little research beforehand can go a long way toward making your promotion a success.